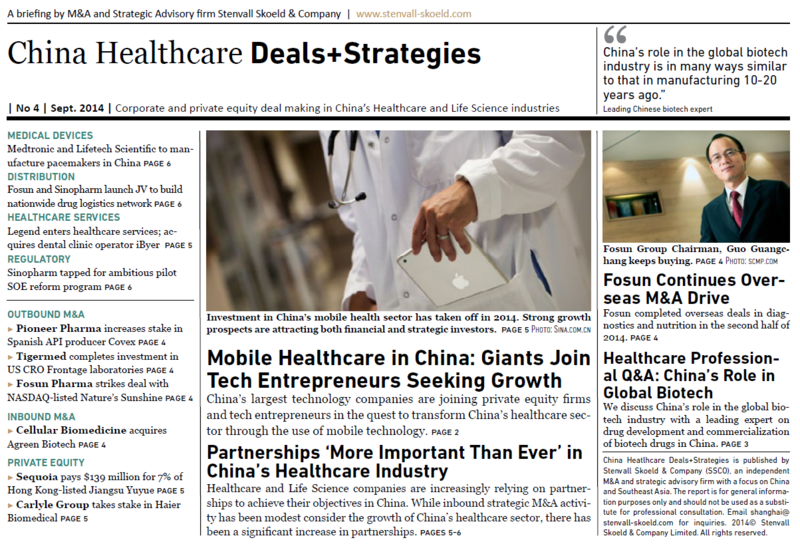 This post is a longer version of an article originally published in the September 2014 issue of our healthcare newsletter China Healthcare Deals+Strategies. Subscribe (email) to our China healthcare newsletter. Mobile health (mHealth) refers to the delivery of health care supported by mobile technology. By improving the way healthcare providers, insurers/payers and users/patients obtain, use and share information, mHealth solutions aim to reduce costs, and improve the access and quality of healthcare. Companies in the medical health sector that succeed in delivering access and quality improvements and / or reduce the cost of healthcare will be major beneficiaries of the growth of mHealth. In addition to traditional health care sector players, this will include mobile operators, software companies, hardware manufacturers, and value-added service providers. Mobile health (mHealth) is a nascent segment of the healthcare sector in China. Skeptics of the short-term potential of mHealth in China point out that the country’s healthcare infrastructure is not yet ready to embrace mHealth solutions. Others argue that mHealth will see the fastest growth in countries like China, just because their healthcare systems and public services are transitioning to new structures. The idea being that these countries can leverage new mHealth solutions to establish new systems for healthcare delivery in areas already established in more developed countries. A review of existing mHealth business models reveals differences in focus in China and the West. Whereas mHealth initiatives in countries with more developed healthcare systems, such as the United States, typically revolve around solutions aimed at reducing costs and improving the quality of healthcare, the majority of mHealth players in China are currently focused on solutions that improve access to healthcare. China’s mHealth industry has attracted significant attention from China focused private equity investors in the last two years. Notable deals include a US$35 million private placement in the app developer behind Meet You, a women’s health management app and a US$30 million financing round by the developer of Dayima, another women’s health app. In mid-2014, Meet You and Dayima claimed 50 million and 45 million registered users respectively, with both firms claiming around 3 million active daily users. Most of the Chinese mHealth apps focus on providing healthcare related information to mobile users. (For example, Meet You and Dayima allow female users to track their menstrual cycles). Few of the apps allow meaningful communication between consumers/patients and healthcare service providers. Although we believe that private equity investor will continue to be active investors in the sector, the mHealth apps currently in the market will not have a big impact on China’s healthcare sector. Larger technology-driven companies with an existing base of mobile users are likely to have a much more significant impact on China’s mobile health sector than app developers. A number of such Chinese players, including China Mobile (HK:0941), Lenovo (HK:0992), and e-commerce giant Alibaba Group (NYSE: BABA) are already offering mHealth solutions or developing mHealth strategies. China Mobile, the world’s largest telecom operator by customer base and network size, is evaluating and developing several initiatives that go beyond the provision of basic connectivity, including initiatives involving medical and health information services, mobile registration for appointments, and remote visitation and diagnosis. China Mobile has already rolled out such services on a trial-basis in a number of provinces, working together with local governments and value-added services partners. Lenovo, the world’s largest PC maker and the world’s fourth largest smartphone company, is developing a portfolio of products for the healthcare sector built around the company’s personal computer and mobile device offering. Although mobile health solutions do not currently contribute to any significant extent to company’s revenues at the moment, the company is planning to be a key player in the segment in the future. 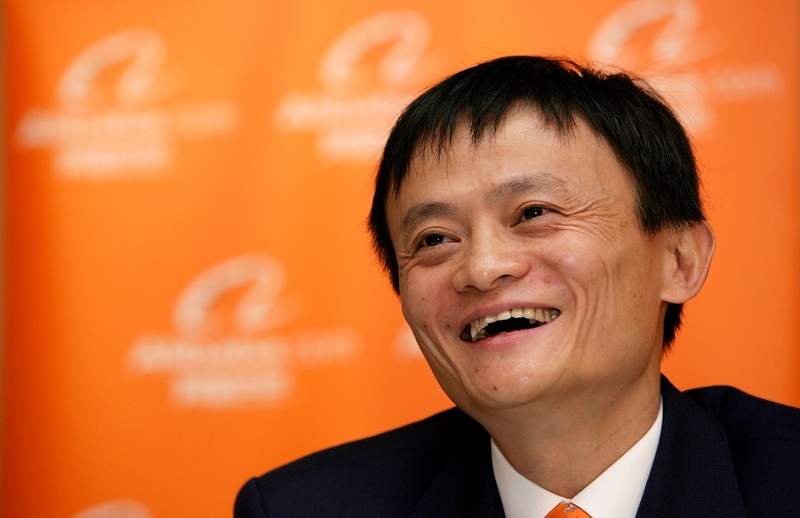 Alibaba Group is pioneering several significant mHealth solutions in China. Alipay – Alibaba’s online payment platform (spun off ahead of Alibaba’s recent IPO) – has already launched an ambitious service that is allowing patients to make appointments and pay for examinations and medicines at select hospitals in several major Chinese cities. Patients can also receive diagnostic results online. The service links users’ online payment accounts with the participating hospitals’ booking and payment systems. Alibaba founder Jack Ma stepped down as CEO ahead of Alibaba’s $21.8 billion IPO, but continues to steer strategy as the group’s chairman. With more than 300 million users, Alipay’s challenge is now to sign up China’s public hospitals to the plan. Alibaba expects that 50 hospitals will participate by the end of 2014. Alipay is focusing on rolling out the service to hospitals with strong existing information management systems, and younger, more “tech-savvy” patients. Although Alipay’s solution is currently only available to patients paying out-of- pocket, Alibaba’s ambition is to offer the same service to patients covered by insurance by 2016. This will require linking hospital information systems with those of insurance carriers. The service will make it possible for insurance company reimbursements to be made directly to a user’s Alipay account. Alipay is also planning to expand the service by linking patients’ medical records with hospital information systems to enable real-time consultation with doctors over the phone. Alibaba’s acquisition of a controlling stake in CITIC 21CN (HK:0241) earlier this year shows that the company is serious about building the capabilities necessary to be a major player in China’s mobile health sector. CITIC 21CN’s subsidiaries include companies involved in system integration, software development, and pharmaceutical data tracking services. Less than six months after the deal was announced, Alibaba launched a technology which allows consumers to scan bar codes on drug packages to confirm authenticity and obtain information about drug interactions, etc. If successful, Alibaba’s mHealth offering will include an impressive range of solutions, from system integration, to hospital ERP systems, to booking and payment solutions, and more. Developing technologically viable solutions is not the main problem for mHealth companies in China. Instead, the major challenges are developing solutions that meet the needs of China’s healthcare service providers and pass the scrutiny of the country’s regulators. Persuading Chinese health care service providers to adopt mHealth solutions has proven especially difficult for mHealth startups. Several health app developers that exclusively target individual users have been able to achieve considerable scale. But when it comes to solutions that require buy-in from healthcare professionals, mobile health companies face significant challenges. Chinese public hospitals are typically unwilling to enter into partnerships with tech startups and small and medium-sized private companies with unproven solutions. Mobile health products aimed at healthcare professionals, e.g. solutions aimed at improving doctor workflow, also face challenges in China’s public hospitals, where doctors sometimes see hundreds of patients each day and therefore have limited time to devote to each patient. While the Chinese government sees great potential in the mobile health sector – especially as a means to expand access to basic healthcare – several mHealth players have seen their business models threatened by regulatory hurdles. The government has also stepped in to shut down mobile health companies operating in areas not clearly regulated. Alibaba’s previous effort to launch a mobile appointment booking app via its Taobao C2C e-commerce platform is a recent, high-profile example. The service was shut down by the Beijing city health department only three days after the app was launched, with the government citing information security issues as the reason behind their action. Test and optimize strategies with customers and partners – Engage and understand the needs of your target customers and partners before developing solutions and business models. Go beyond technical aspects and understand the many non-technical factors that will determine whether or not your solutions will be adopted by healthcare services providers and other value chain partners. Align business models with government objectives – Private investment in China’s healthcare sector is politically sensitive even in more mature segments. Adding new technologies and innovative business models to the mix makes understanding and aligning with government objectives even more important.